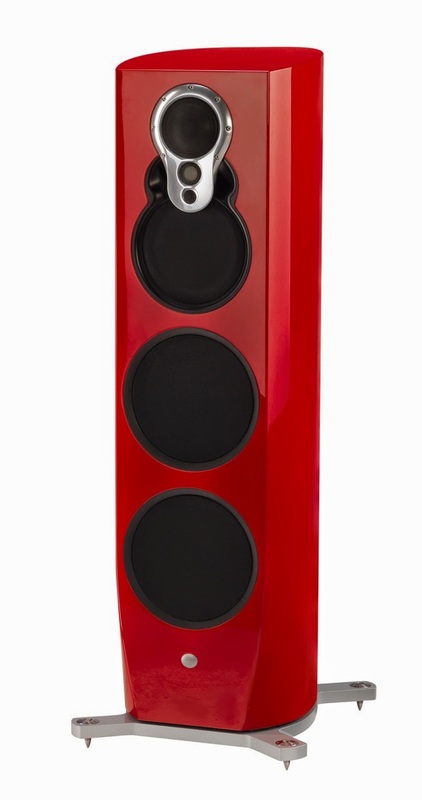 The global leaders in precision-engineered music systems, Linn Products, is making its long-awaited re-entry into South Africa with the announcement that Sphere Custom Design will be its sole distributor in the country. Their product range officially launches on 22 July at a function that also celebrates Linn’s association with the award-winning Higland Park whisky range. Sphere Custom Design will grow Linn’s presence in the South African market through sales, marketing, service and support. Gilad Tiefenbrun, Linn’s Managing Director is thrilled by this new partnership, noting, “This new relationship will help us realise our ambitions for Linn in a market that is strategically vital for our vision of Linn’s future. We are all excited about the great potential of this most progressive and demanding market”. 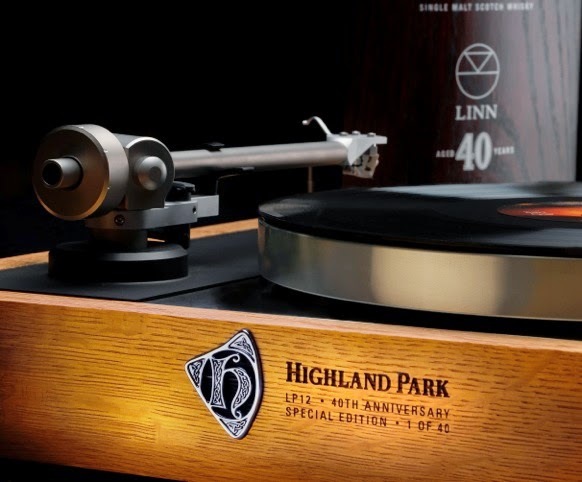 The launch coincides with Linn’s 40 birthday celebrations, which saw the company release 40 limited editions of its signature Sondek LP12 turntables, housed in oak plinths made from the casks that previously housed the iconic Highland Park whisky. Each one of these editions is accompanied by a special Linn bottling of Highland Park 40 years old. The Sondek LP12 was the first product produced by Linn and is still the standard by which all other turntables around the world are judged. Highland Park will be at the event to serve guests a taste of their 12 years old and 18 years old whiskies, the latter of which was crowned the best spirit in the world twice in the last decade. The world’s most prized whisky, The Macallan, provided a rare opportunity to those who appreciate luxury and exclusivity to view a bottle of 62-year-old whisky in bespoke Lalique crystal in the Mercedez Benz tent for the duration of the Cape Town Fashion Week (24 – 26 July 2014). The Macallan, which broke its own Guinness World Record at the start of the year when one of its bottles sold for US$628 000 on auction, creates its whiskies based on six pillars, their curiously small stills, the finest cut of the distillation run, exceptional oak casks, natural colour, peerless spirit and its spiritual home. In its collection of the oldest whiskies ever produced as a range, Macallan is representing these six pillars in the form of six whiskies, each housed in a unique decanter design, created by the legendary French crystal house Lalique. The whisky that was on display is the fifth and latest release in this series, with the decanter crafted to represent the spiritual home pillar. This spiritual home refers to the Easter Elchies manor house that has stood on the estate where the Macallan is made since 1700, and also adorns its label. It is the only manor house of its kind to be part of a distillery estate in Scotland. The Macallan Lalique V: The Spiritual Home is the second-oldest whisky ever released by The Macallan. Few distilleries in the world have the stocks to match The Macallan for its ability to release whiskies of such extreme age and quality. Only 400 of these unique whiskies were produced and carefully poured inside the decanters. It retails upwards of R250 000. “This is the ultimate luxury spirit for the select few who are lucky enough to experience it,” says Nicol Gongota, Brand Ambassador: Macallan. “This is a whisky that is crafted for the VVIP, the person who does not only values the nuances that enrich a whisky that spends in excess of half a century in a sherry barrel, but who also appreciates the fine craftsmanship to create a decanter of exquisite beauty. These elements combine to redefine the concept of extreme luxury. The rich dark colour of the whisky serves as a hint to the experience of sampling this unique spirit. The nose brims with treacle, raisins, blood orange, cinnamon, ginger and chocolate. This translates to a rich and viscuous palate filled with figs, oak, ginger and cigar leaf that lingers on the tongue. The addition of the 62-year-old means that the visual display of The Macallan’s six pillars is almost complete. The whiskies in the range have been released periodically since 2005. Previously, the 50-year-old (exceptional oak casks), 55-year-old (natural colour), 57-year-old (the finest cut) and 60-year-old (the curiously small stills) were all released in their own unique Lalique decanters. As the collection has grown, each release has become more desired and anticipated. The Macallan Lalique V: The Spiritual Home was originally filled to American oak sherry-seasoned casks in November 1950. Inspired by the artistic genius of Rene Lalique’s legacy and Easter Elchies House, Lalique’s Marc Larminaux interpreted the harled surface applied to the sandstone walls of Easter Elchies House by creating a textured frosted surface on three sides of the decanter, an effect created through the use of a digital stamp of the actual wall. One of the frosted sides features the bold initials, of the builder, Captain John E. Grant, replicating the initials which are incorporated in the original date stone, which can be seen high up on the western elevation of Easter Elchies House. 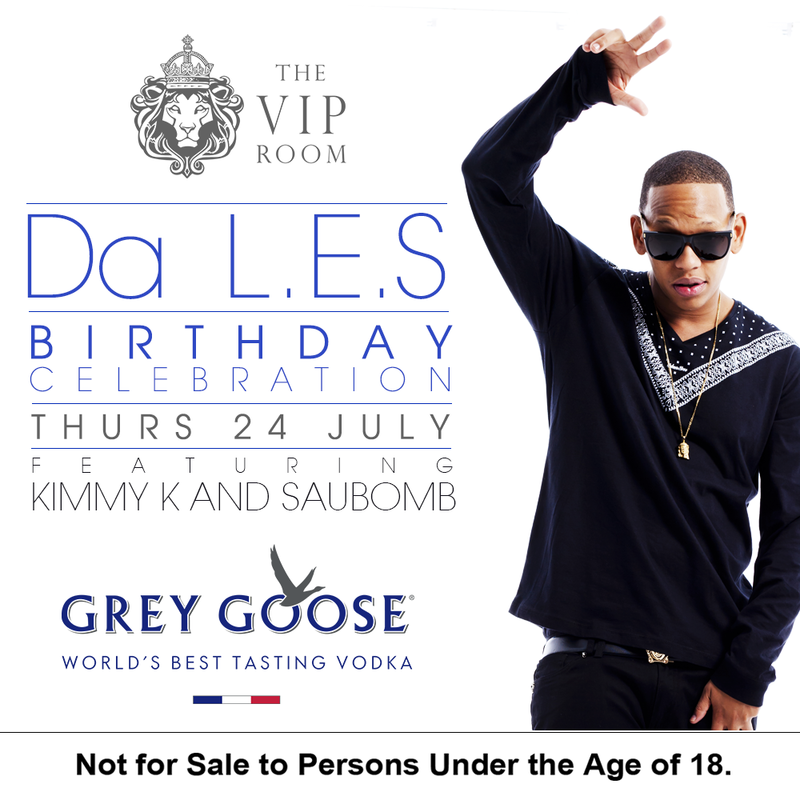 Join Da L.E.S tonight at the VIP Room for his birthday celebration! It is going to be one epic night so make sure you are there! The event starts at 10 pm. Maude Street, Michelangelo Towers Mall, Johannesburg, Sandton. A few weeks ago, the Swag Craze team, attended the launch of the AugustineGold capsule collection. Today we give you an inside look into their amazing collection, which you can order, directly from the Augustine store in Parkhurst or from Gold Street Online. The AugustineGold collection ranges from everyday to statement pieces for both men and women. Styles include hooded blazers, tailored biker pants, sheer bombers, leggings and the must have AUGUSTINE leather biker jacket. 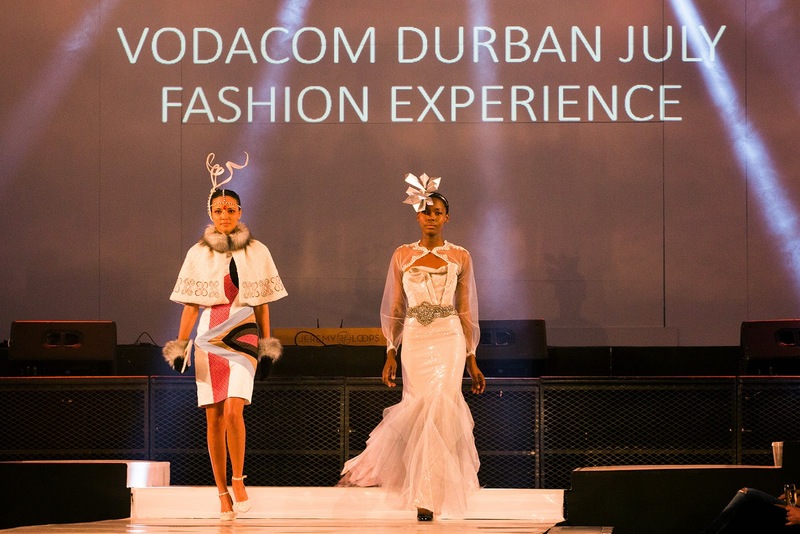 The Vodacom Durban July Preview Fashion Show and Concert is the biggest date of the year on Gateway’s calendar. Months of planning went into putting together the VIP list, selecting fashion designers as well as the performers for the concert. It was no surprise that local and national celebrities, designers, media and business executives came out in numbers to attend the event on the 4th of July at the Wave House. Personalities such as multitalented actress and singer, Lucia Mthiyane; Top Billing presenter, Simba Mhere; Top 12 Miss SA 2014 contestant, Julia Petersen and international actor and Mzansi’s Sexiest Man 2012, Sipho Masebe attended the event. “The event was beautiful. I thoroughly enjoyed the fashion show, especially the Zarth segment. The performances were excellent. 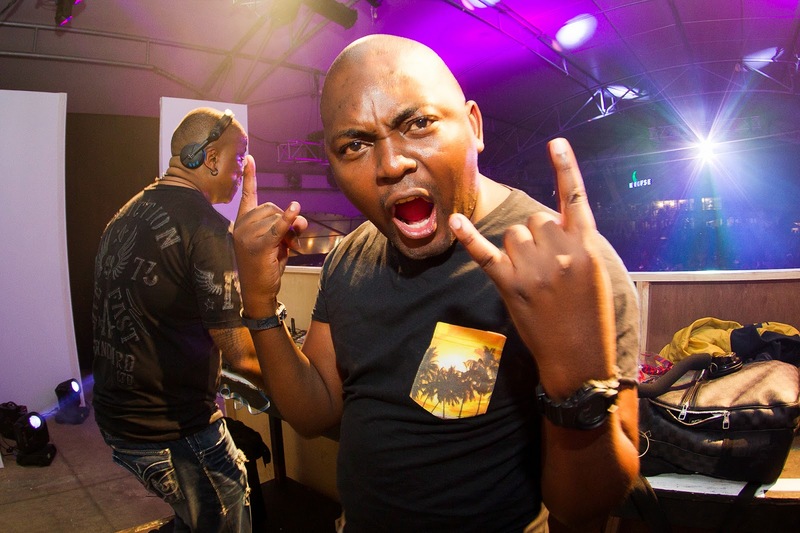 The Kiffness stood out for me the most, but it was DJ Fresh and DJ Euphonik that kept me on the dance floor. Gateway did an amazing job with the gift bags as well. I felt so spoilt,” says Lucia Mthiyane. Fans of The Roger Goode Show were in their element when the show was broadcast live from the Wave House from 4pm. The Ultimix at 6 was performed live by the dance master himself, DJ Kent. 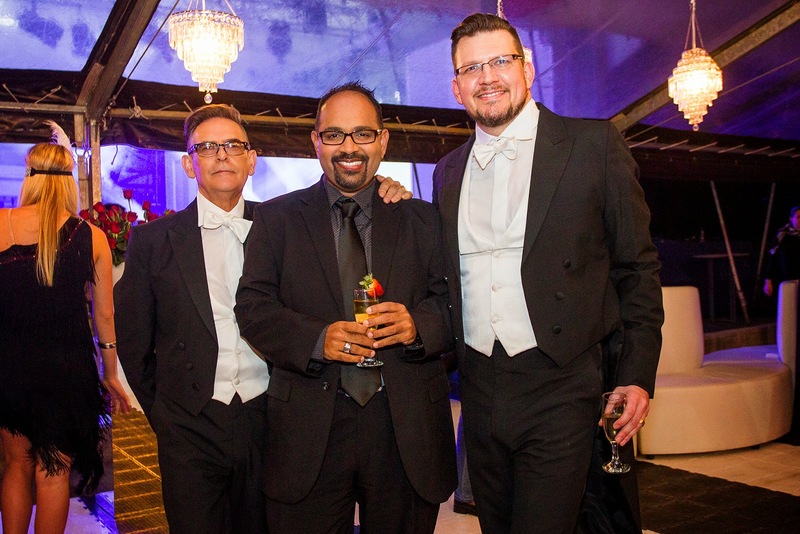 Gateway has successfully partnered with the Vodacom Durban July event for the past six years with the 2014 event being the most glamorous instalment yet. Look out for other exciting events at Gateway Theatre of Shopping on Facebook and Twitter. 4TH STREET WINES – Presenting The Party Perfect Single Serve! In a dazzling display of innovation, 4th STREET has announced the launch of a lightly sparkled wine in a sophisticated 300ml bottle. The first of its kind in South Africa, the 100% pure natural wine invites consumers to enjoy an array of new wine drinking occasions made possible by single serve convenience. Unashamedly uncomplicated, easy drinking and flirtatious, 4th STREET is a wine inspired by the bright lights of big city living and drunk by vibrant socialites with their finger on the pulse of what is hip and happening. 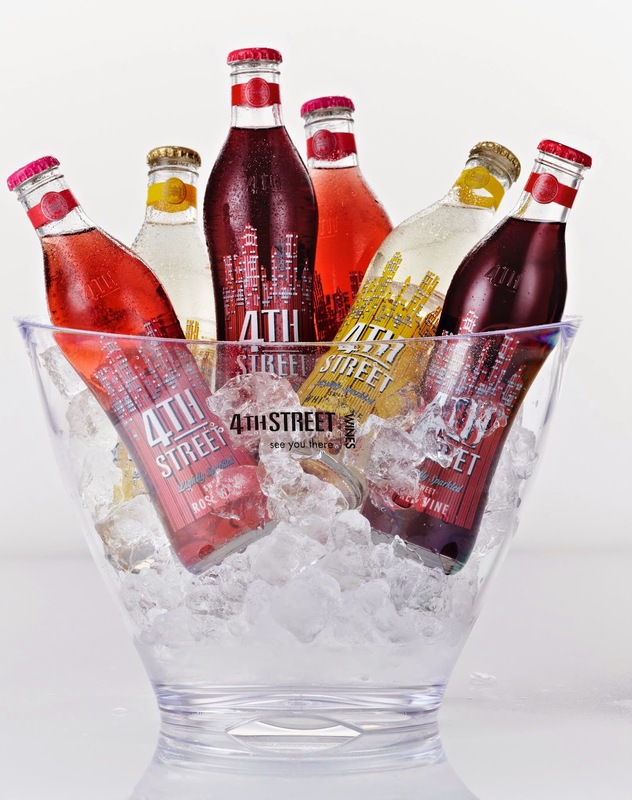 Noting an increased consumer demand for low alcohol drinks and on-the-go accessibility, 4th STREET made the decision to explore the single serve wine category and launch a new product offering. The sleek and stylish 300ml bottle, boasting the iconic 4th STREET skyline, invites wine drinkers to explore new and exciting drinking occasions - from glittering dance floors to festive weekend picnics. Gear up for a girl’s night out, refresh at an outdoor party or wind up at a rooftop fiesta with the must-have party accessory from 4th STREET. 4th STREET wines are made with grapes sourced from carefully selected vineyards across the Western Cape. 4th STREET Lightly Sparkled Rose: Deep coral pink colour and packed with delicious sweet berry flavor. 4th STREET Lightly Sparkled White: Youthful and fragrantly refreshing with hints of vibrant tropical fruit salad. 4th STREET Lightly Sparkled Red: Fruity and soft with smooth sweet cherry and ripe berry aromas. Purchase 6 x 300ml packs for a retail price of R63.00 each available from leading retail stores and supermarkets. P.S. Swag Craze recommends the wine especially on a fashionable night out in the city! If there is one event fashionista’s around the country can’t help but get excited for, it’s the Durban July. But it’s not just the races that make the Durban July a must-attend event; it’s the overall experience, incorporating luxury and excellence. In saying this, one of the most esteemed single malt whiskies in the world, The Macallan is offering one lucky person the chance to win a prize as exclusive as the whisky itself. Those attending the TMT Marquee tent at this year’s Durban July stand the chance to win a once-in-a-lifetime VIP experience at African Fashion Week in Cape Town. Macallan’s Sub-Saharan Brand Ambassador, Nicol Gongota, will be on hand to provide insights into Macallan’s stunning new 1824 series, including The Macallan M, which represents the rich heritage and craft that go into whisky making. The 1824 series is a range of unique and luxurious releases worthy of The Macallan name – all 100% natural in colour and 100% sherry. The range consists of The Macallan Gold, Amber, Sienna, Ruby and M – all wonderfully different, yet all beautifully crafted, rich and full in taste. Like The Macallan Fan page on Facebook or follow @MacallanSA on Twitter and post your Durban July #MacallanMoment to stand a chance to win the grand prize – a trip to attend Cape Town Fashion week in true Macallan style, including flights, two nights’ accommodation and meals, and access to the exclusive Mercedes Benz VIP lounge. Much like The Macallan, Cape Town Fashion Week is the ultimate expression of style and luxury. Both the whisky and the exclusive event are testament to the importance of mastery, craftsmanship and design. Join The Macallan at The official Vodacom Durban July TMT Marquee for your chance to win the ultimate Macallan experience at African Fashion International (AFI) Mercedes-Benz Fashion Week in Cape Town. Missibaba designer Chloe Townsend and creative partner Lizel Strydom launched a capsule collection using autumnal inspired leathers sourced on South American travels. A true celebration of sixties inspired colour, the colour block collection adds a pop of retro glamour to the dreary winter months. The use of on-trend dark navy leather to frame contrasting colours allows them to shine individually with a gold geometric edge. The introduction of exotic textures including patent, sheepskin, snake and crackled leather give the collection's clean aesthetic an alluring edge. 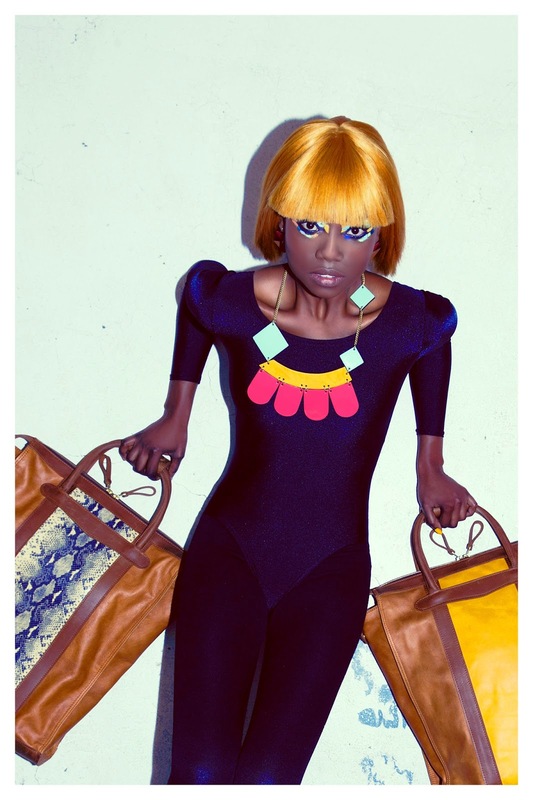 The collection boasts two new bag styles and a new jewellery piece alongside iconic Missibaba styles. Pieces within the collection are in keeping with the COLOUR BLOCK theme – single colour panes broken into interesting shapes and framed in matte navy. The San Telmo Hold All is a unisex handheld carrier perfect for day or night. The bag is made of rich walnut leather with handles and trims in Crazy Horse tan - a vegetable tan leather with hardwearing qualities that ages beautifully. The style is also available with the option of different colours and textures in the middle panel. The Feria Clutch is a true festival of colour with the added benefit of thoughtful practicality. Credit card slots, room for essentials, a back zip pocket for valuables and quick, easy to open fastening make this piece a wardrobe necessity. 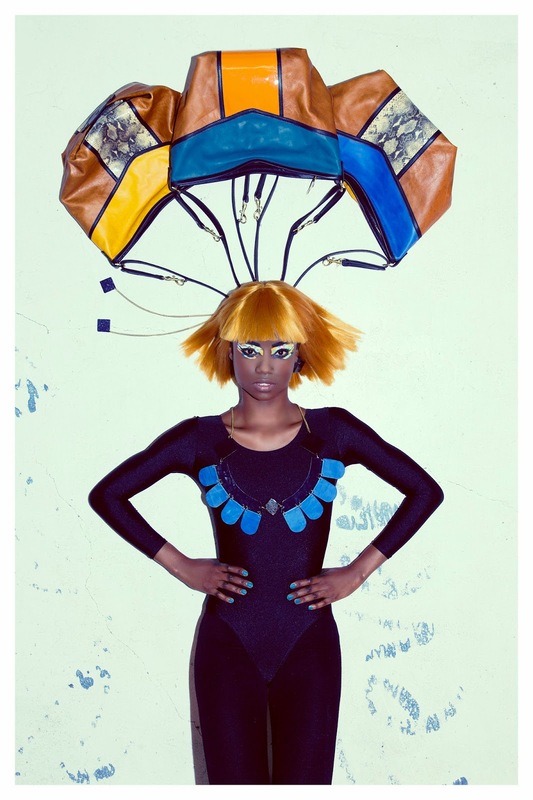 The bag can be worn as a handheld clutch or over the shoulder as a small sling. The Daisy Chain is a double-sided neckpiece available in a variety of bold colourways with the reverse in navy vegetable tan. Attached to a long brass chain, the statement piece can be easily adjusted by the wearer to fit their desired length. 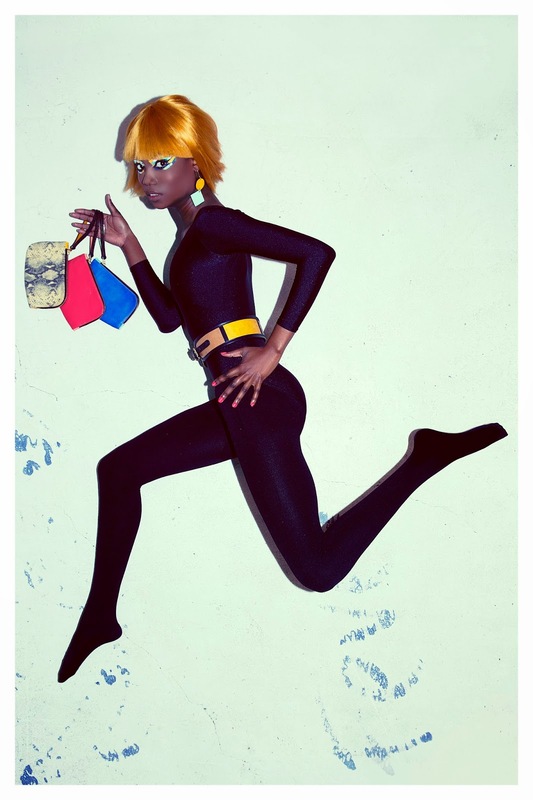 Chloe and Lizel worked with photographer Lar Leslie on the dynamic COLOUR BLOCK campaign. Shot on Africa’s Next Top Model runner up Opeyemi, the campaign brings the collection’s retro Autumnal colour palette to life in an eye-catching and slightly offbeat way. The collection available for purchase from the Bree Street store in Cape Town, and the Birdhaven store in Johannesburg and online at www.missibaba.com. 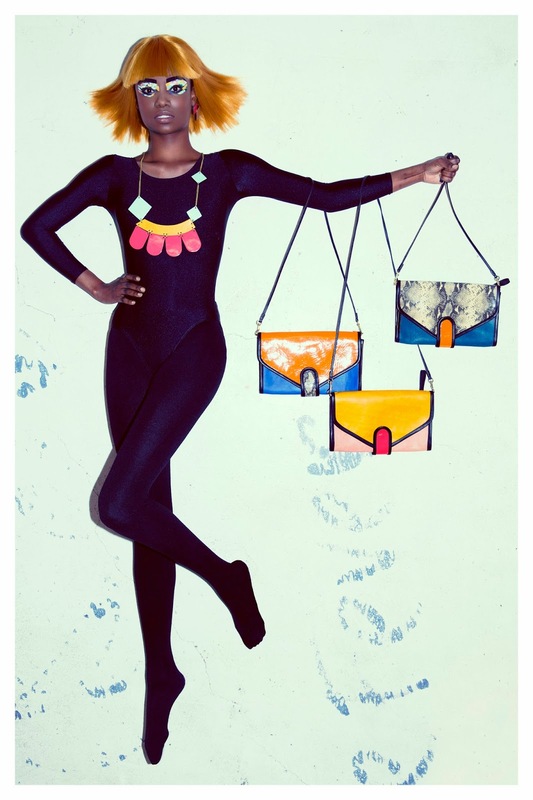 Like https://www.facebook.com/MissibabaSA or follow @Missibaba on Twitter and Instagram for product and brand news. 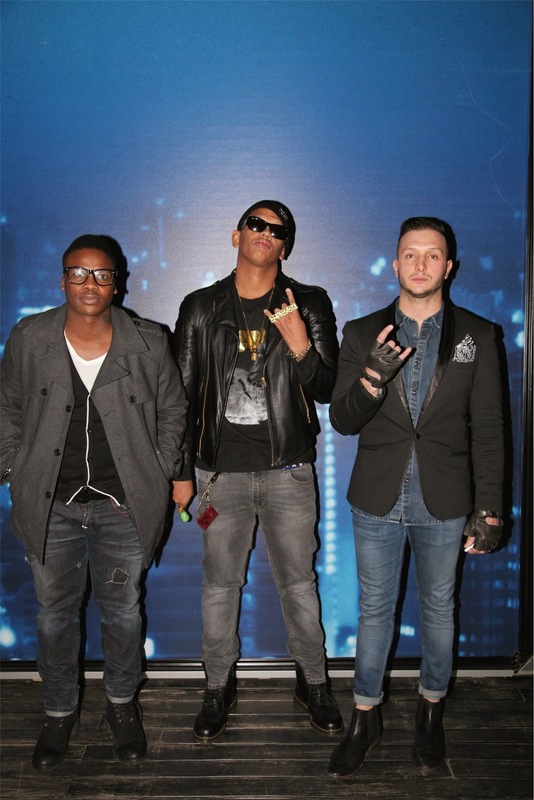 On Thursday, 26 June 2014 The Swag Craze Team attended the launch of AugustineGold at Jozi’s fancy hangout spot, The Elevate Roof Top Venue in Marshalltown, Johannesburg. AugustineGold is the first high end street fashion range in South Africa that came to life thanks to Yianni Crease (from Gold Street Society), Marea Lewis and Justine August (from Augustine). This collaboration is definitely one that works (chic tailoring, avante-garde, dope street wear) and we can’t wait to get our hands on some of the pieces! 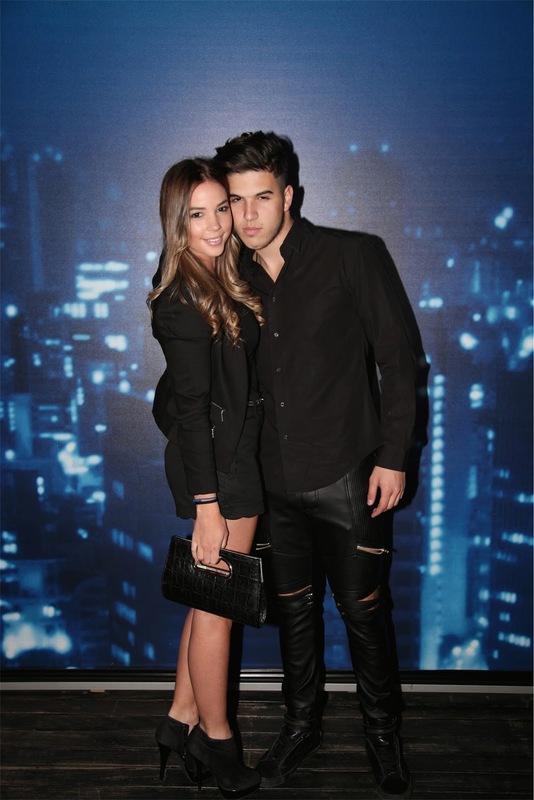 The launch event was well attended by celebrities, musicians, media, fashionista’s and the hottest models from the city of gold. 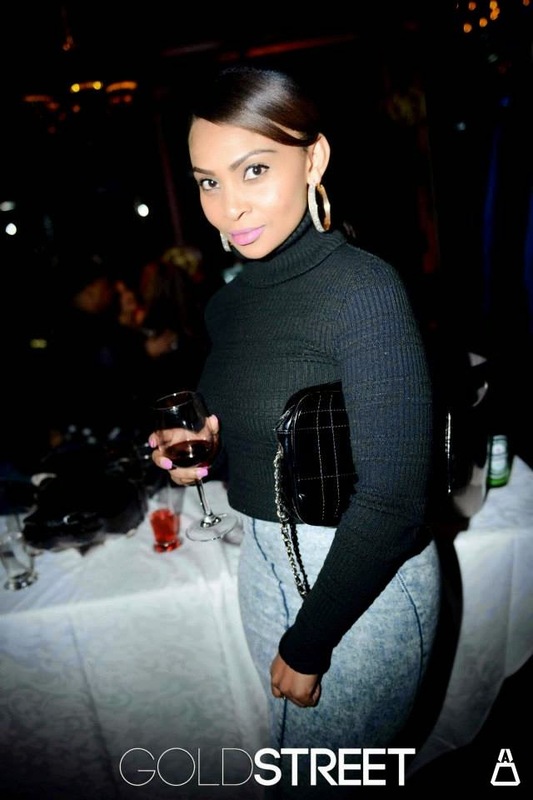 Guests included Shashi Naidoo, Jay Anstey, Zuraida Jardine, Daniel Baron, Tamara Dey and DaLes to name a few. The dress code for the evening was streetwear, and all the guests were dressed to the nines, especially the celebrities that rocked the AugustineGold collection (Jena Dover, DJ Doowap and DaLes to name a few). We also got to enjoy Grey Goose Vodka and Evige flavoured water along with mouth-watering appetizers from Vicky Crease Catering. Here are more photos from the launch for you to enjoy! Connect with Augustine Johannesburg on Facebook or Twitter and also with Gold Street Society on Facebook or Twitter for more information. The AugustineGold collection is available on pre-order from AUGUSTINE or from Gold Street Online.